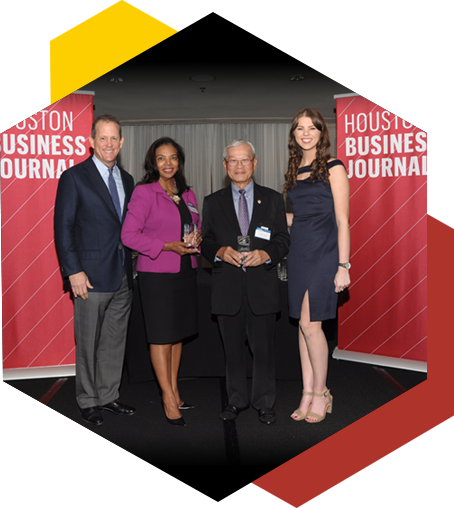 On November 1st, 2017, the Houston Business Journal (HBJ) honored Asia Chemical, recognizing the company and its philanthropic contributions to the Houston Community. Jamey Rootes, President of the Houston Texans, presented Dr. George C. Yang with the award. We believe in contributing to our community and have formed strong ties with several organizations through the years. The mission of the United Way of Greater Houston is to engage caring people to improve lives and build a stronger community. Asia Chemical is a strong supporter of United Way initiatives such as United Way Thrive and the 211 Helpline, which connects those in need with our community's resources. We have been longtime partners in United Way's yearly fundraising campaign, with employee giving of over 90% participation. The YMCA is a cause-driven organization that promotes youth development, healthy living, and social responsibility. One of the YMCA's areas of focus is in academics and how we close the achievement gap. Research shows that many youth from underserved and low-income families need extra support in reaching their fullest potential. Asia Chemical contributes to the YMCA to support the STEM Program. STEM activities nurture curiosity, inspire creativity, and teach a child how to succeed by developing problem-solving and critical-thinking. The Asia Society Texas Center (ASTC) is a non-partisan organization, dedicated to building bridges for a greater understanding among the people, leaders, and institutions of Asia and the West. The ASTC strives to enrich and engage Houstonians by offering innovative and relevant programs in arts and culture, business and policy, and education. Asia Chemical has sponsored the Chinese American Citizens Alliance (CACA) Houston Lodge- Miss Chinatown Houston Scholarship Pageant for more than 10 years. We take pride in supporting and encouraging young Chinese-American women to develop their interpersonal skills, talent, and goals through higher education.